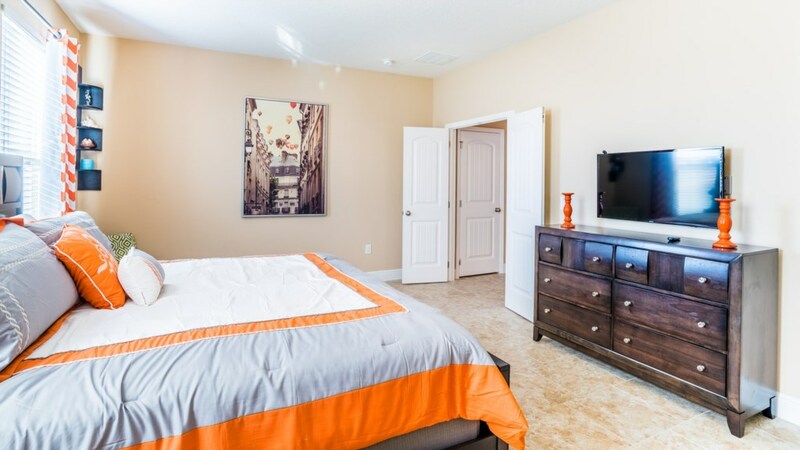 Welcome to Solterra Resort and this spectacular 6 bedroom, 5.5 bathroom vacation rental with its own pool and spa. 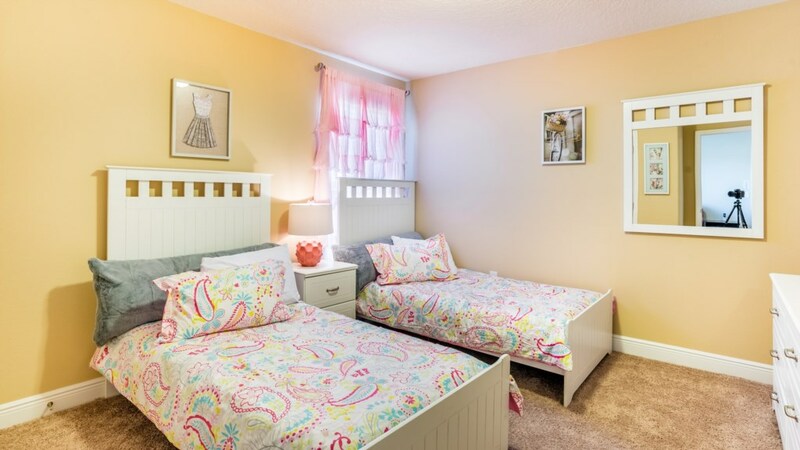 Sleeping up to 14, the bedrooms consist of 2 king bedrooms, 2 queen bedrooms and 2 bedrooms with two twins, allowing plenty of space for everyone to have privacy and sleep comfortably. 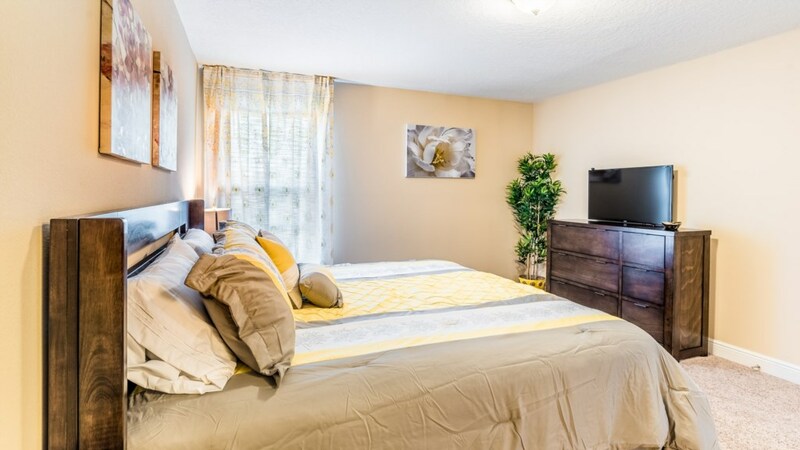 This lovely, professionally decorated, open floor plan includes a leather furniture package, two 58-inch flat-screen TV’s along with Smart TV's in all rooms. 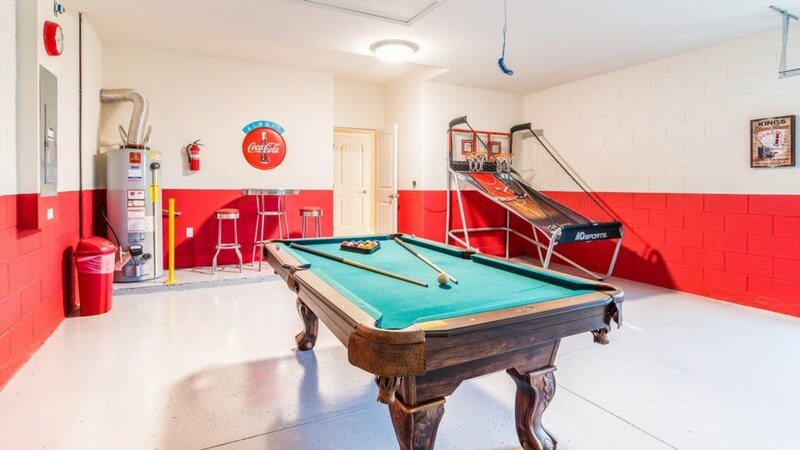 The game room features billiards and a basketball machine for some friendly competition. 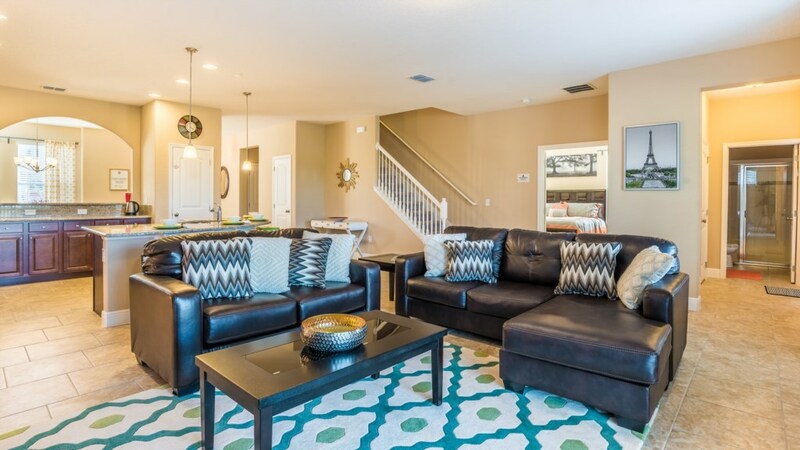 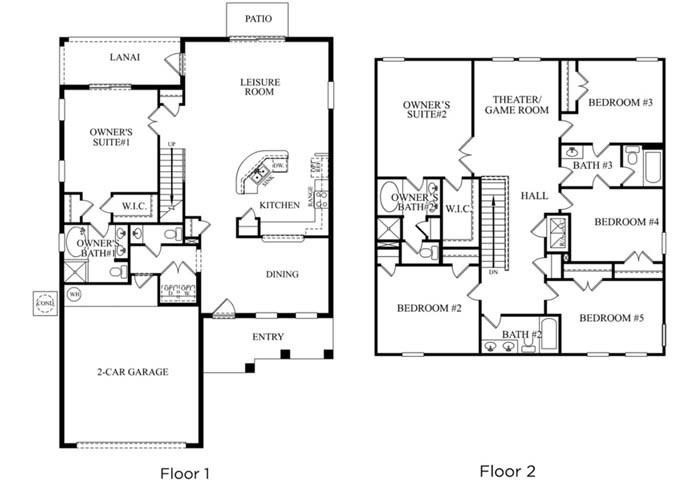 The inviting living room has ample space to bring everyone together. 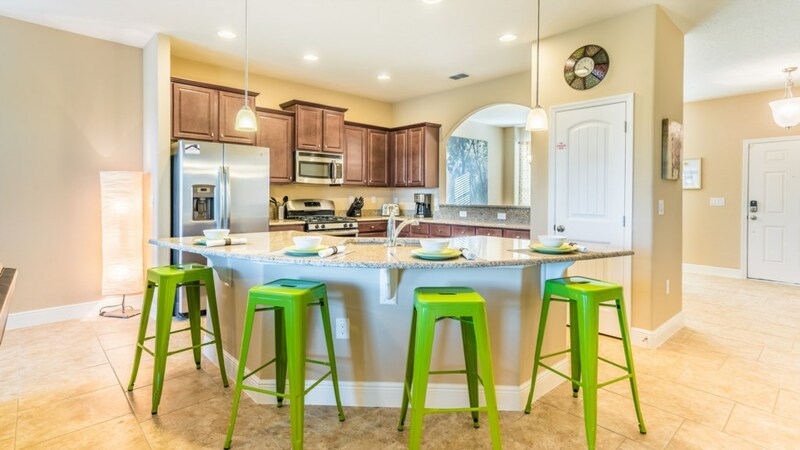 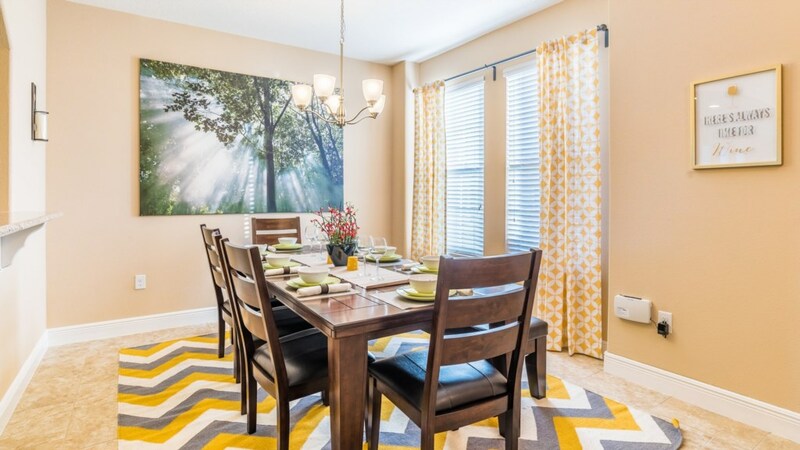 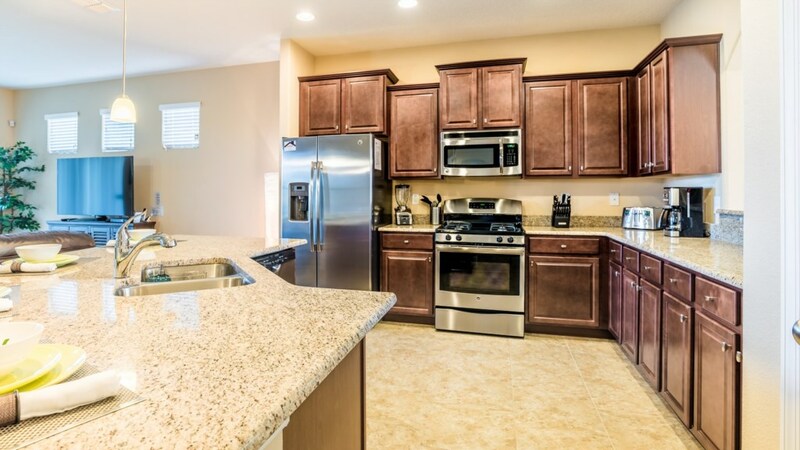 Choose from popular dining options nearby or simply enjoy preparing meals in the well-furnished kitchen. 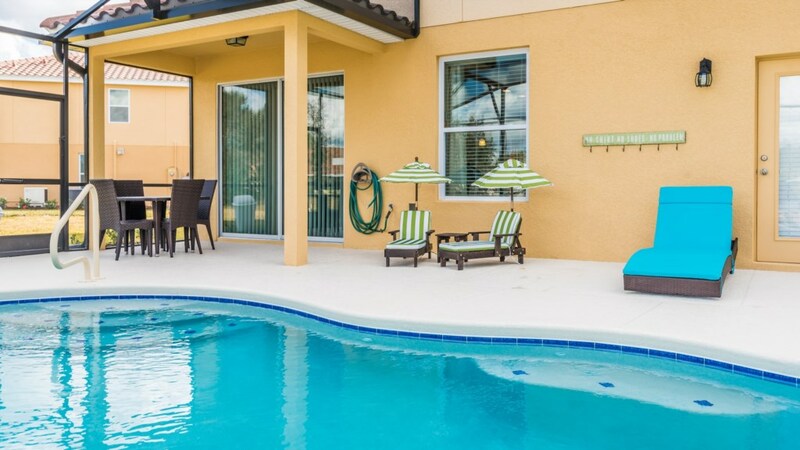 The private pool has a conservation view and plenty of poolside furniture to provide hours of relaxation, while soaking up the sun. 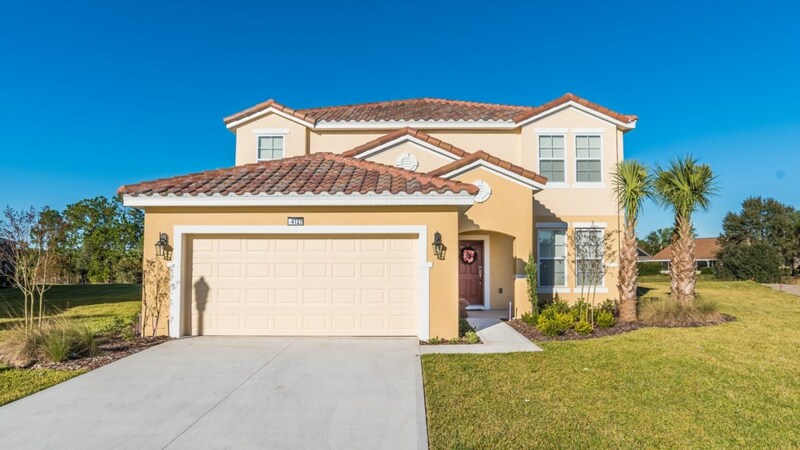 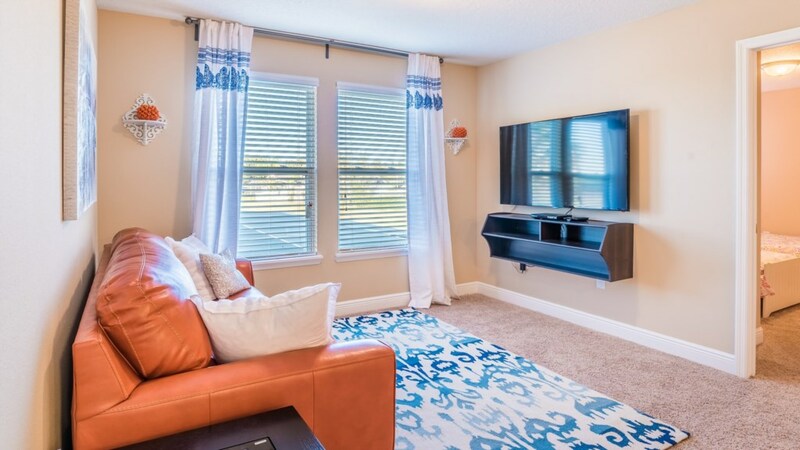 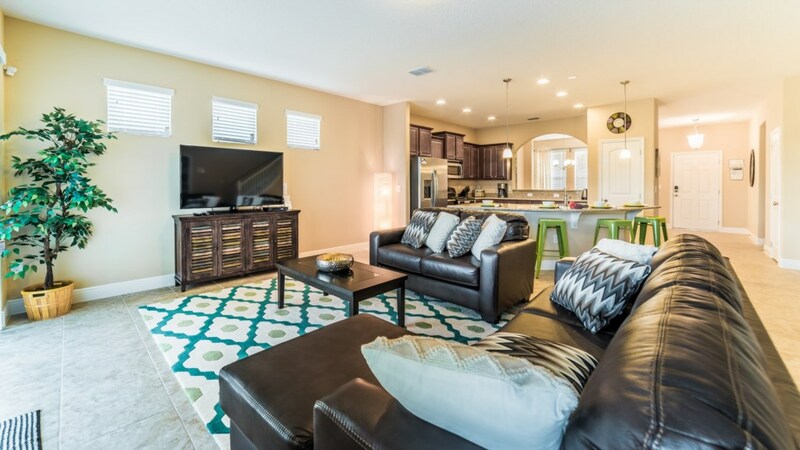 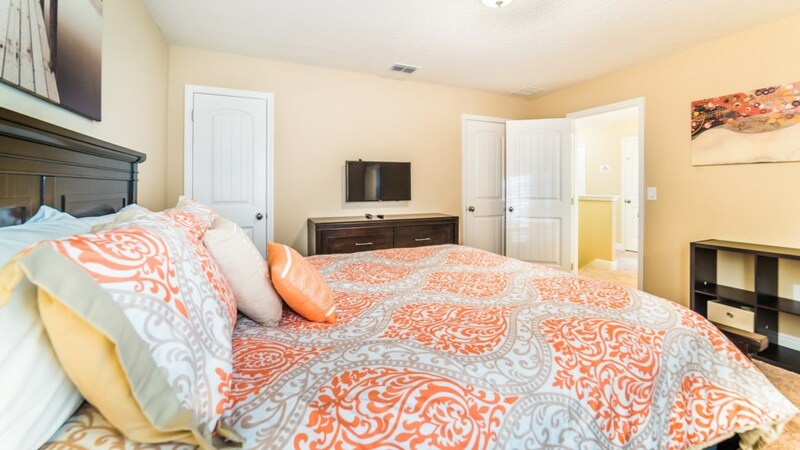 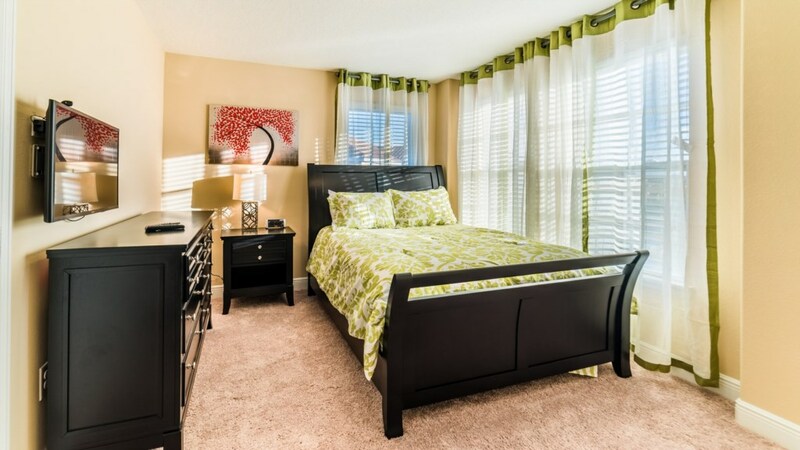 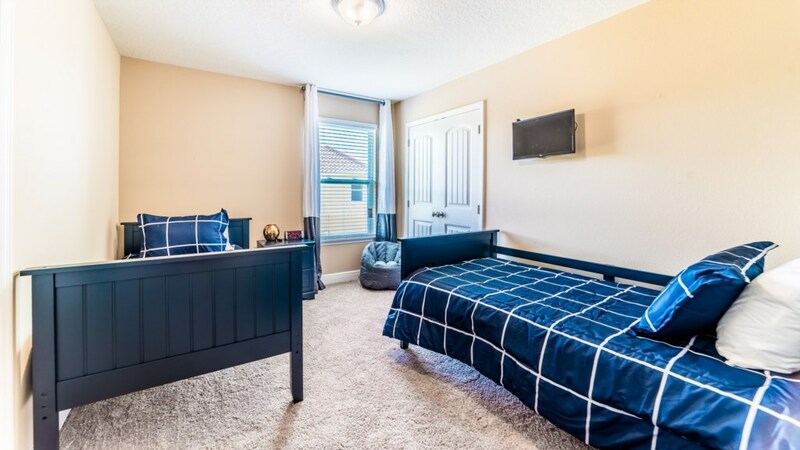 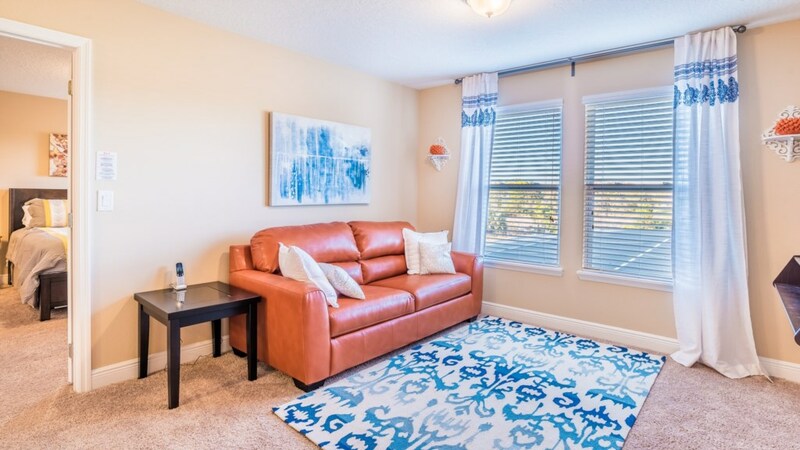 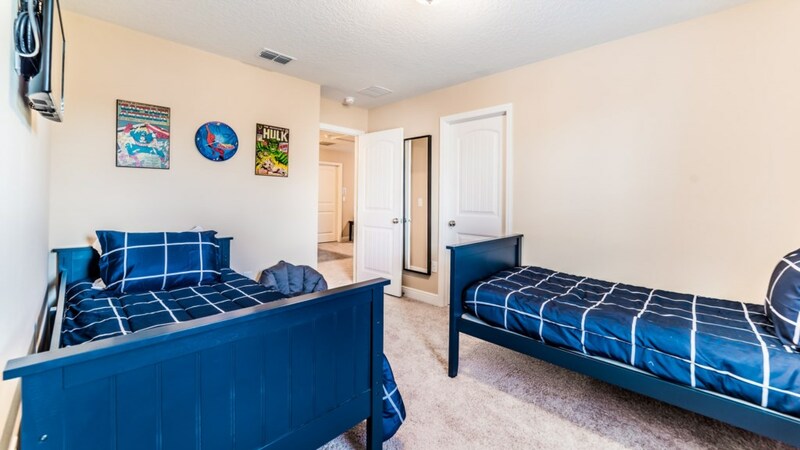 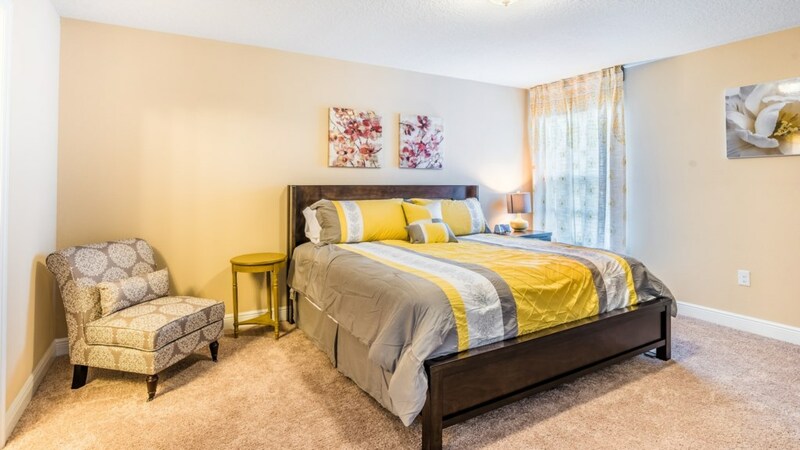 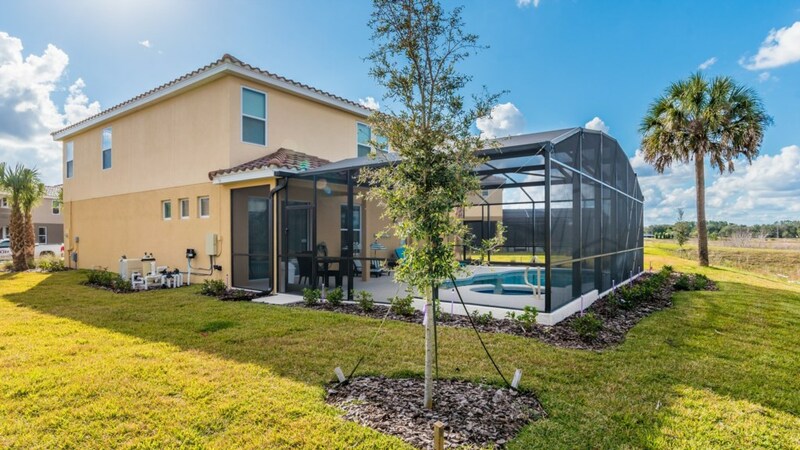 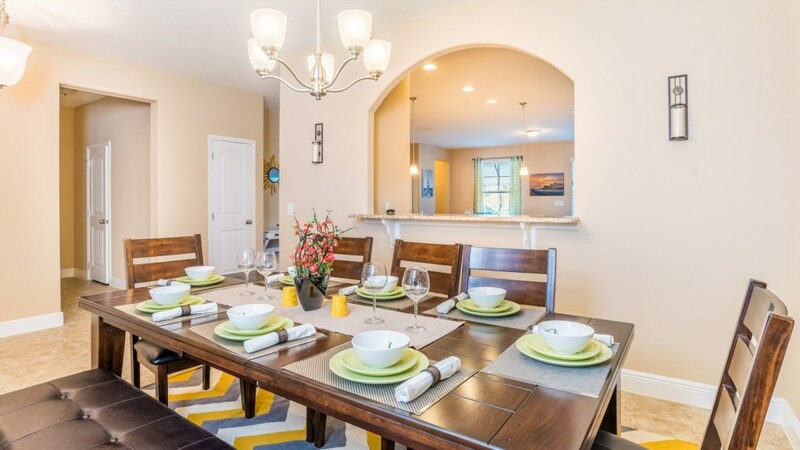 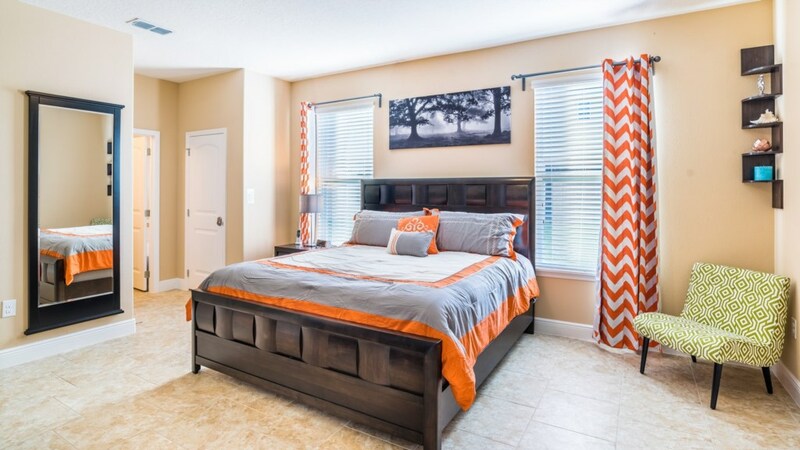 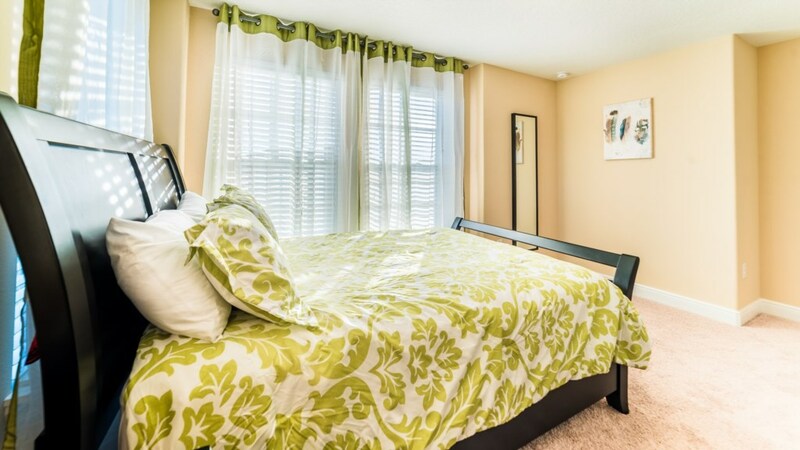 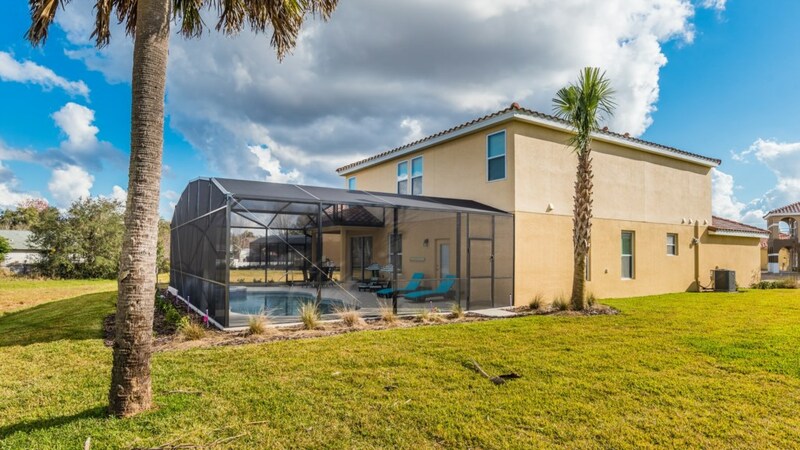 All the comforts of your own home, with all the amenities of a resort and within minutes to Disney, SeaWorld, Universal and the finest in premium outlet shopping. 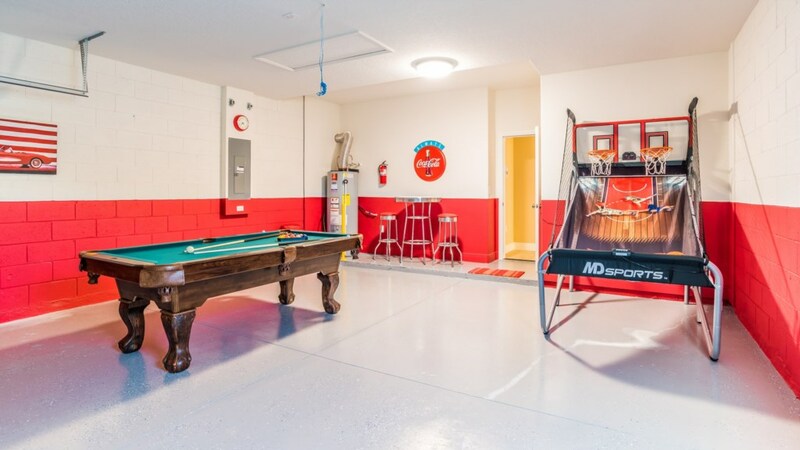 Free WIFI and a washer and dryer are included for your convenience.